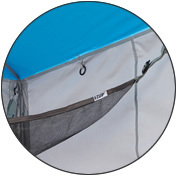 In literally seconds, not minutes, you can transform your canopy into an entirely new space and complete bug-free zone. 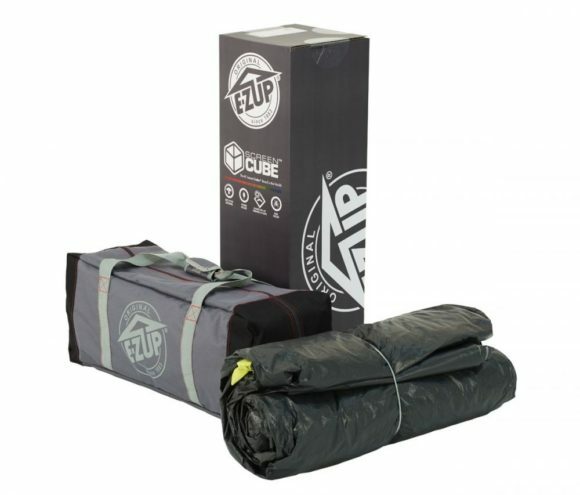 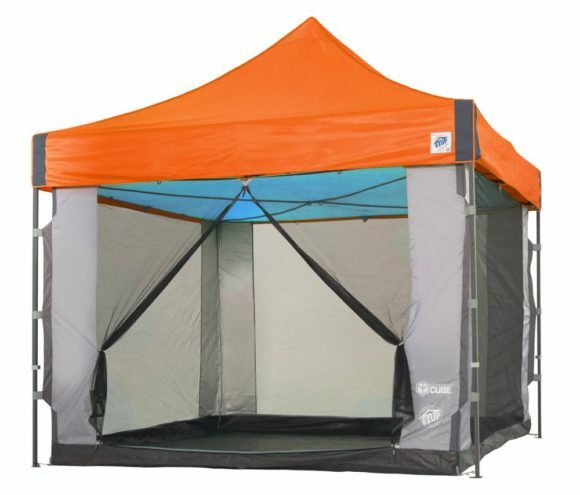 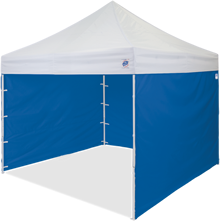 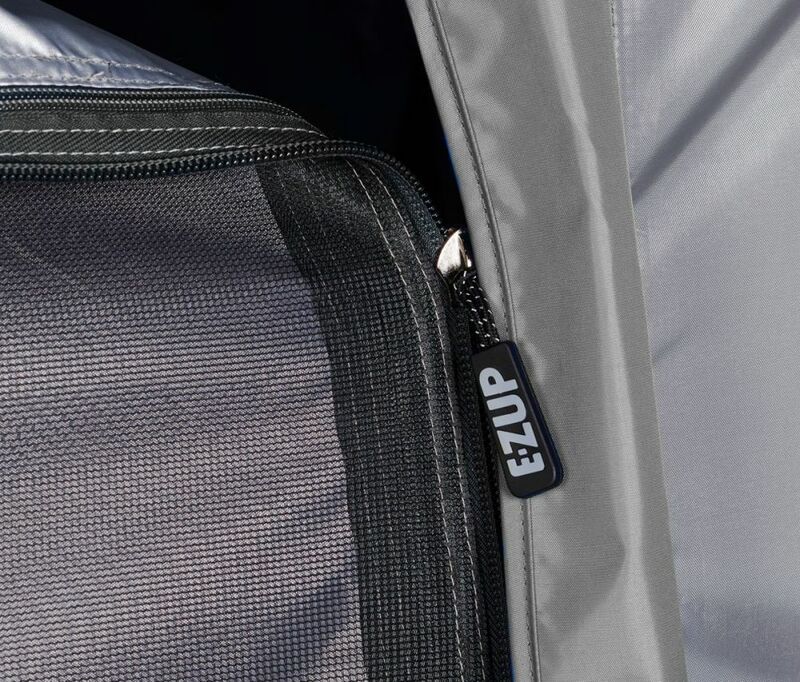 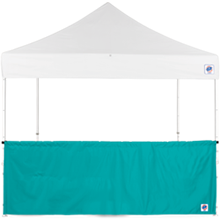 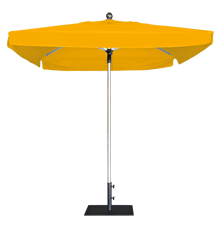 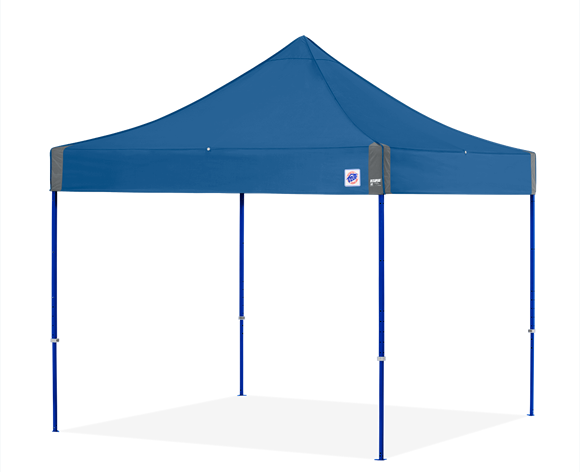 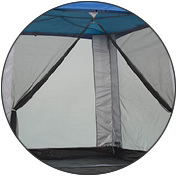 So whether you’re looking for just shade or protection from unwanted visitors – the E-Z UP Screen Cube™ has you covered. 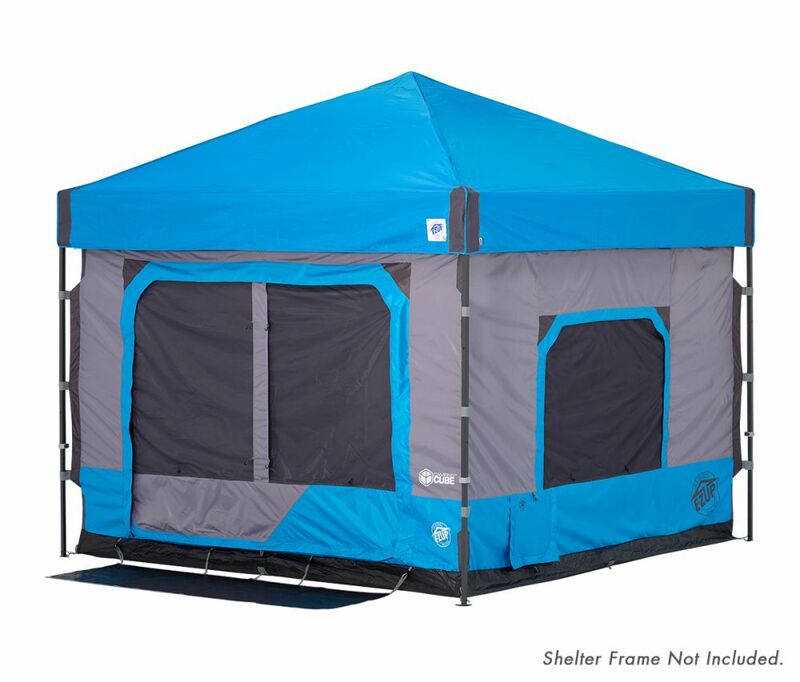 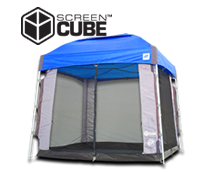 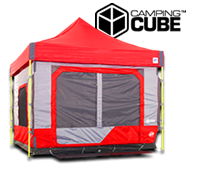 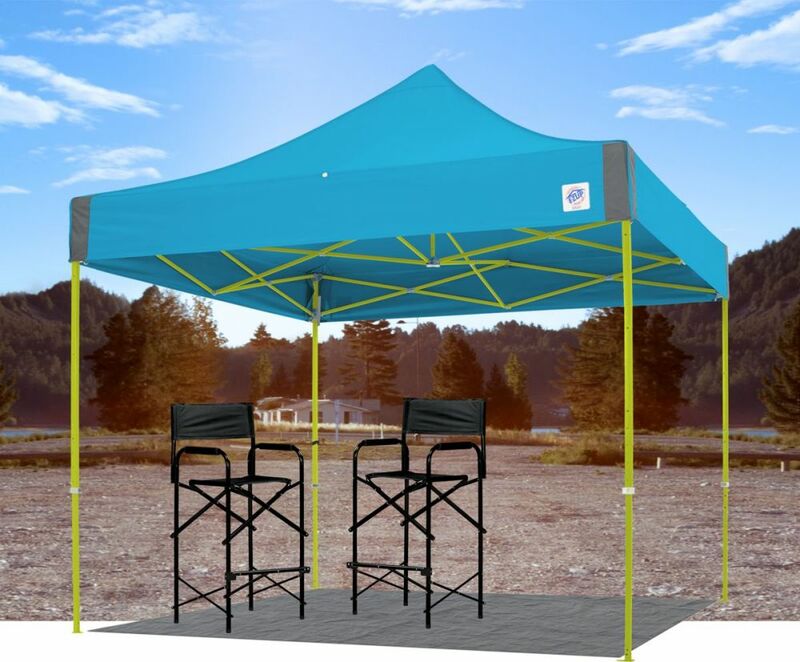 Available in two styles, you can mix and match your E-Z UP canopy with a Screen Cube to match your personality. 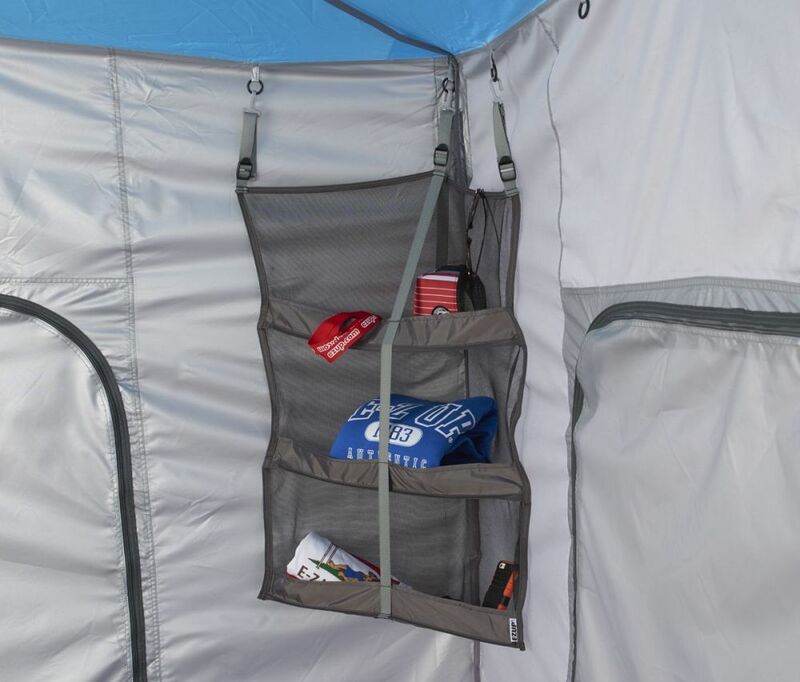 No more tiny entry points, plenty of room to give easy access to your belongings and gear. 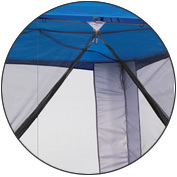 Fully enclosed, water-resistant, and insect-proof ceiling. 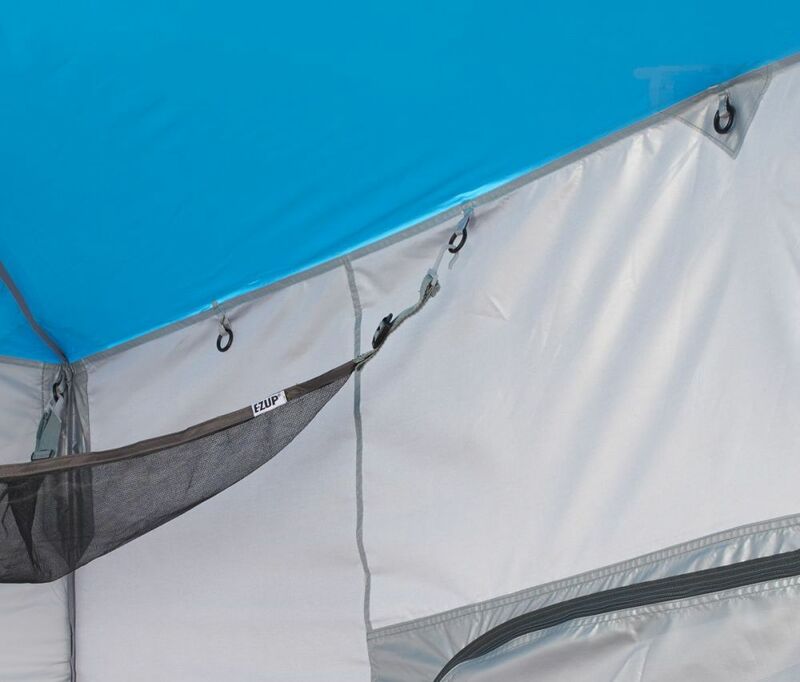 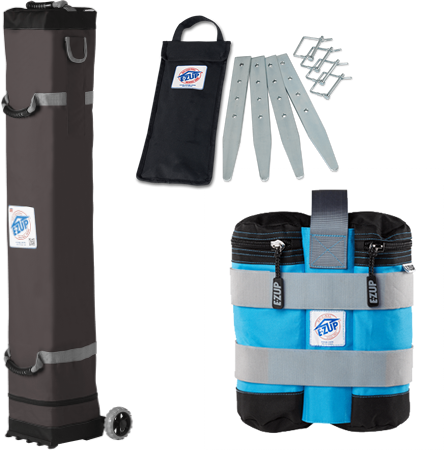 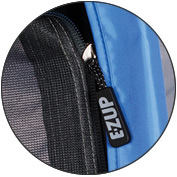 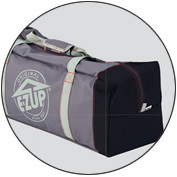 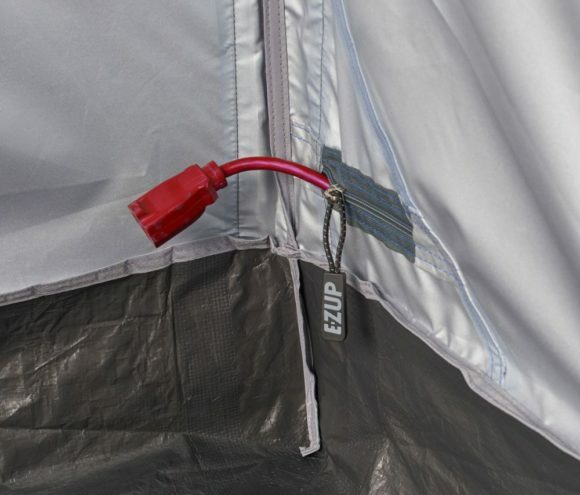 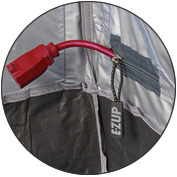 Specially designed flaps and zippers let cables through and keep weather out. 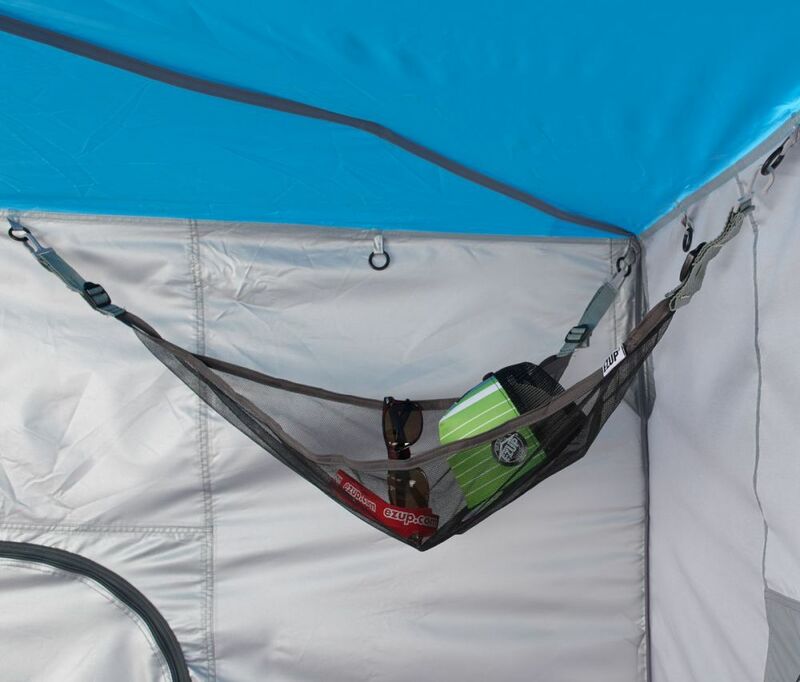 Stylish and multifunctional for transporting your Camping Cube. Ideal for hanging rope lighting or lanterns.